All the Bond films are gathered together for the first time on high-definition Blu-ray in this one-of-a-kind boxed set - every gorgeous girl, nefarious villain and charismatic star from Sean Connery, the legendary actor who started it all, to Daniel Craig. 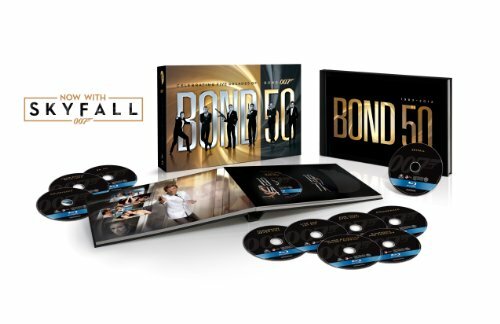 A fitting tribute to the most iconic and enduring secret agent in movie history, BOND 50 is the greatest collection ever assembled. 23 films on Blu-ray, from Dr. No to Skyfall. If you have any questions about this product by Mgm, contact us by completing and submitting the form below. If you are looking for a specif part number, please include it with your message.